Kickin it with Pimp C and his sista Lil Z: Finally, a new scratcher! 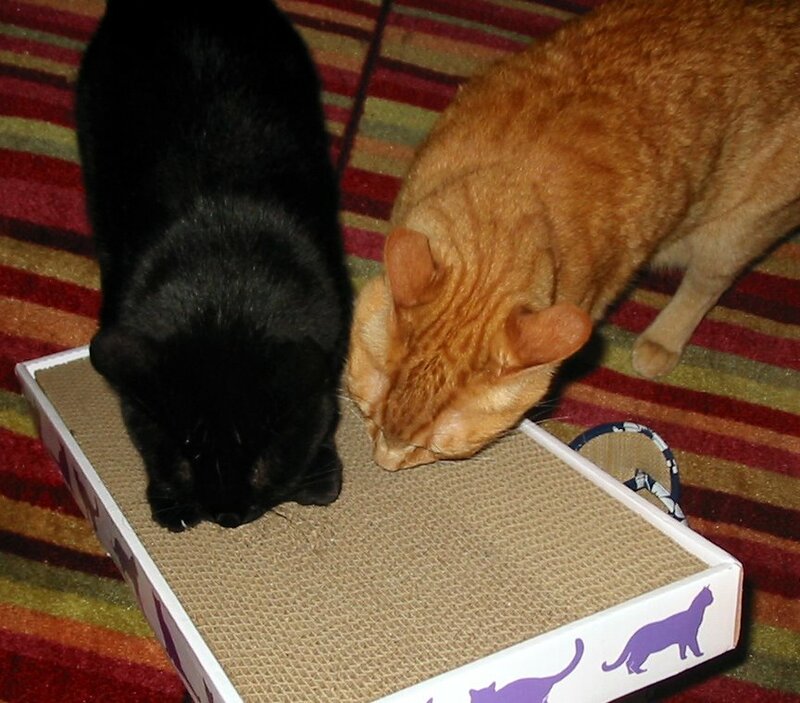 We got a new cardboard scratcher today! As soon as Mom took the plastic wrapper off and before it was even laying flat on the ground, both of us started attacking it and scratching it like crazy. There's nothing better than a good whiff of catnip after a long nap. I just love the nip! This is how I lay on the scratcher after I've exhausted myself from catnip whiffing, taking a poo, running around the apartment, well, you get the idea. 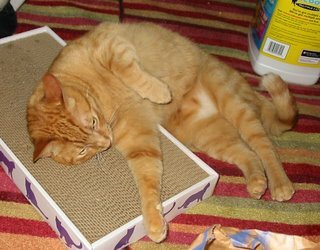 Don't you just love a new scratcher? We have one almost like yours but it's not wide enough for 2 of us to use at the same time like yours. 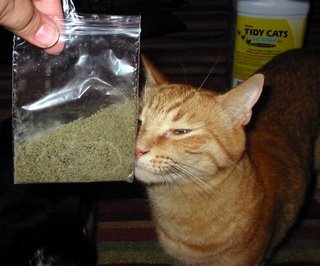 Now, if I could just get Mom to remember to put 'nip in to freshen it up more often. Hi there! I just found your bloggie via a link from Oreo's bloggie. :) I've added you to my list of poodin links on my blog. Miaow.